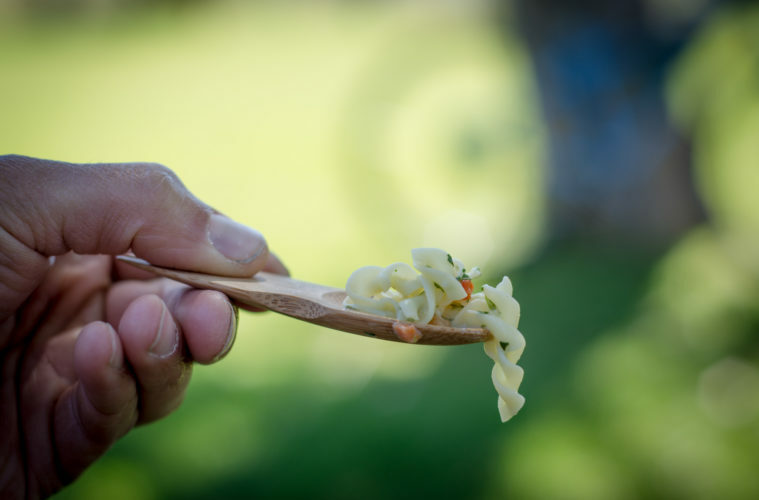 Eating well in the backcountry is no easy feat. 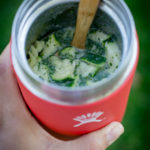 After a long, hard day on the trails, you want sit down around a campfire and enjoy a flavorful and easy to prepare meal. 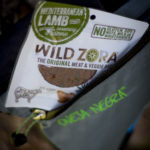 Perhaps one that meets your diet needs like something gluten-free, vegan-friendly, meat-packed, or something in between? 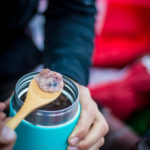 Whether you’re planning a wilderness backpacking trip, a bikepacking excursion or a family car camping overnighter, here are seven packaged camp meals (and instant beverages) that are perfect for your next adventure. Variety and options galore! 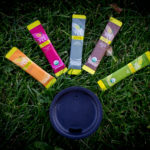 Alpineaire features instant options from smoothies, dips and trail snacks, to full breakfast and dinner meals. 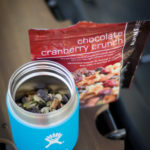 Our go-tos on long bike rides include Chocolate Cranberry Crunch and Toffee Break snack bags. For in-camp meals the whole family enjoys, we cook up their Three Cheese Chicken Pasta and Forever Young Mac & Cheese. It’s hard to pick a favorite meal when it comes to the Good To-Go collection. Looking for a classic that will fill you up after a long day on the trail? Go for the Marinara with Pasta. Or, maybe you prefer something less traditional? If so, heat up the Indian Vegetable Korma or Pad Thai. Whatever you choose, these meals deliver serious flavor and great serving sizes. Mary Jane Farm isn’t just a magazine. Their Outpost lineup is made for the ingredient-conscious on-the-go traveler. The Organic Bare Burrito (breakfast) and Organic Northwest Garden Couscous (dinner) are go-to favorites for our family. “Seriously scrumptious” all-natural ingredients make this lineup a perfect choice for the car camping family. 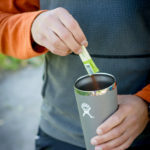 The collaboration features instant options like salsas and scramblers in ready-to-go cups as well as camp-stove-compatible breakfast pancakes. 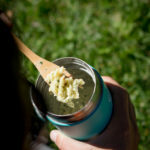 To save on clean-up, choose the all-in-one scrambler cups for a yummy breakfast the kids (and you) will love. And, for a quick snack while getting camp set up, go for the salsa cups! 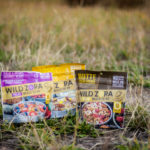 We tried (and loved) several of the paleo meal options and meat and veggie bars from this great Colorado company. For breakfast, the Cliffside Coconut Berry and Butte Cacao Banana are perfect shareable options. On the trail, or for a pre-dinner snack, grab a Meat & Veggie Bar — our favorites were the Apple Pork and Chili Beef! Coffee is life when we wake up in camp, but sometimes, the kiddos keep us from making a fresh pot or french press. Their motto “Instant coffee that actually tastes good” could not be more true. We carry packets on camping trips, day trips, short drives and even grab them when running late for work. Purists, go for their Original Blend. And the fancy coffee folks in the backcountry? Grab a packet of the Coconut Creamer (my personal favorite) or Dirty Chai Latte. Tea drinkers rejoice! If you’re tired of packing out tea bags from a long backpacking trip, it’s time to celebrate. Cusa’s instant teas mix well in hot or cold water and are wonderfully flavorful. Oh, and for all you chai tea fans — they have that, too! 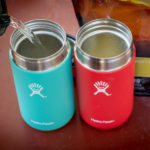 These flavor-packed teas come in compact packaging and easily fit in a pack, pocket, or frame bag and best of all, there is no more worry of soggy tea bags leaking all over your gear.